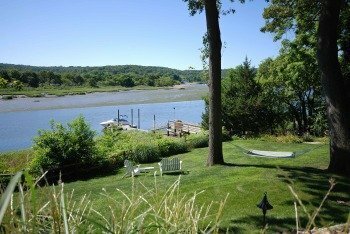 Strategy for Vista Enhancement | Goldberg & Rodler, Inc.
You purchased your home because you appreciate the scenic view of Long Island Sound or another beautiful vista. 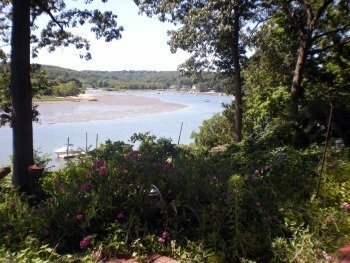 Congratulations, now how do you continue to enjoy that breathtaking view as the trees and shrubs grow year after year? Some vistas may be seasonal due to the presence of large trees and other foliage and some may be year round. If a view is what you want, be careful to purchase a property that will allow you to properly maintain the trees affecting your vista. Some local villages will not allow any tree pruning or removal on steep slopes or along waterways, while some properties may have covenants that allow you to prune your trees and your neighbors to maintain your view. Caveat emptor, let the buyer beware. Most municipalities require permits to prune or remove large trees, in addition to an up-to-date survey, a strategic vista enhancement plan prepared by a certified arborist, landscape architect or professional landscape designer. These professionals can recommend which trees to prune and which ones to remove by providing both a short and long term vista enhancement strategy. If done properly, a well planned and maintained vista provides many years of visual enjoyment. Our arborists and landscape design professionals can start you on the right path to developing your vista enhancement strategy. Contact us today for your complimentary consultation.